We are the well-known Amino Mass Gainer Suppliers in India. 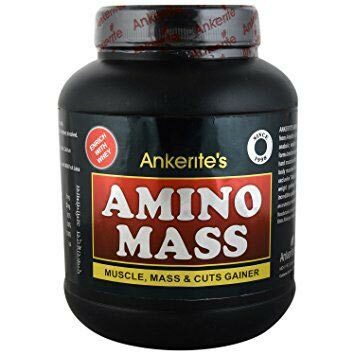 Ankerite's Amino Mass is the biggest mass gainer, most powerful and massive anabolism weight gainer formula. It is weight gainer synergistically formulated and scientifically mass engineered for solid gain of mass muscles without fat or wasted calories. Ankerite's Amino mass is best mass & weight supplement which is examined under the consultants. Our product is prepared using quality ingredients under the supervision of experts. We make sure that our product is free from any sort of adulterants. We make available our products in quality packaging and at the most affordable price.